The one-day StrongFirst Barbell Course applies the universal strength principles to the barbell to build greater absolute strength that will carry over to your sport or serve you in everyday life. Before you decide to start using a barbell, however, you must be certain that you are using it safely. This value of this Course spans several populations: from the accomplished lifter looking forward to break his all time PRs, to the athlete looking forward to improve his performance in his sport, to an elder who wishes to maintain or regain some self-reliance and independence. Even if you have been under the bar for a while, there are likely many nuances to barbell training that you have never learned that will keep you strong and injury-free. 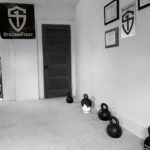 The StrongFirst Barbell Course is the place to learn how to safely maximize your strength potential with this classic tool. The Barbell Course curriculum, designed by Pavel and Chief SFL Dr. Michael Hartle, is taught by a select few SFL Instructors, all hand-picked for their ability to teach and demonstrate these techniques to others, with equal effectiveness across the full spectrum of experience level. Whether you have never touched a barbell or you have been training with the bar for years and are ready to get seriously strong, this Course is for you. Strength. The kettlebell is the entry point into strength. Properly used, it teaches priceless movement lessons that prepare you for safe and effective barbell training. But the kettlebell can only go so far in development of absolute strength. Enter the Barbell Course. Safety. Many people injure themselves under the bar. The cause of these injuries is incorrect technique or poor programming. Learn the right technique on the classic barbell exercises. 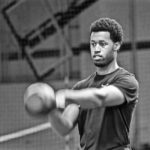 Learn safe and effective programming to “raise the bar” for years to come. Technique. We take the exercises apart and put them back together strong. Our cues and progressions are one of a kind in the industry. The learning curve of our students is the steepest, guaranteed! Principles. Like all of our curriculum, the barbell methodology is principle-based. The movements are different because the tool is different, but the principles of “strength as a skill” remain the same. Focus. As with all our Courses, the material is both narrow and deep. You will spend a full day on the most high-yield barbell exercises. 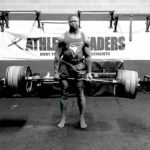 The deadlift: the ultimate test of strength and one of the most powerful full-body muscle builders. The back squat: the most powerful leg developer and the easiest way to quickly put on muscle mass. The military press: the classic test of upper-body strength and a powerful muscle builder, taught in the same technique used by Soviet weightlifters in the golden era of the strict overhead press. Education. Once you have learned the proper technique, you will be instructed in foolproof programming to guide you in your first years under the bar.